Magical Vacations - Nikki D.
Growing up going to Disney world beginning in 1971, it has always been a magical part of my life. After researching and planning a trip for my own family in 1995, I knew I was hooked on the whole experience. Since then, friends and family always came to me to plan their adventures to Disney. As a pediatric home care nurse, I began extending my assistance to families of children with special health care needs. Bringing the Disney experience in a way that suited their individual needs. 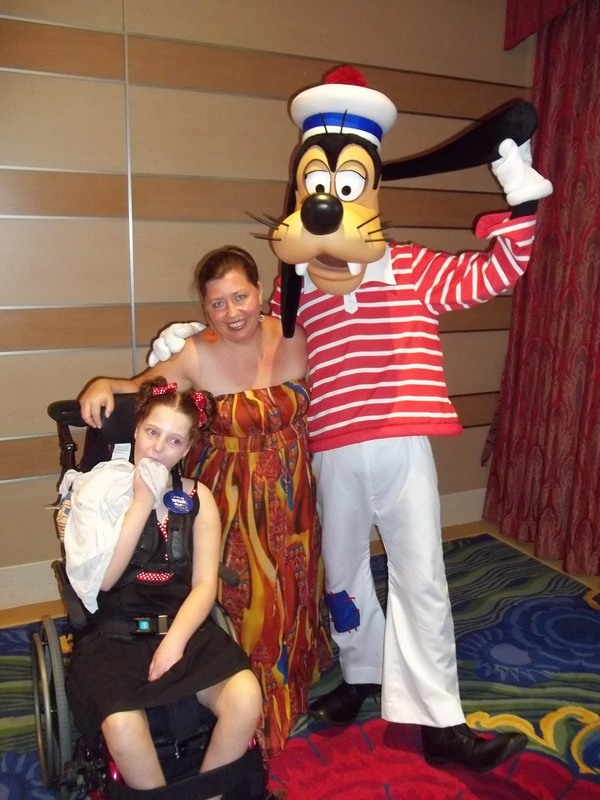 In 2012, I was honored to accompany a client on her "Make a Wish" cruise on the Disney Dream. I researched the excursions and events for the accessibility she needed which helped the family make the most of that amazing vacation. With 18 years of experience, I have planned exciting adventures for all budgets and all ages. 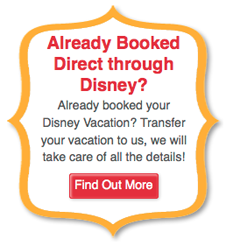 I look forward to helping you plan your magical vacation. Make sure to put NIKKI D in the agent request box! My girls had a wonderful first experience at Disney all because of Nikki D. and her team at Magical Vacations. Her recommendations for our fast passes/restaurants were spot on to what the age of our children enjoy. This was one of the most seamless vacations that we have been on all due in part to Nikki D. and her wonderful planning. Nikki D takes all the guess work out of our magical vacation! She immediately text me back anytime i would text or email her. she’s so sweet and friendly! We have used her twice and will definitely use her again!! She’s (Nikki D) the best ! Nikki D. planned a recent Disney World/Universal trip for our family. She is super knowledgeable on all aspects Disney. She researched and helped us in planning all logistics like lodging, dining reservations and park navigation while considering the likes and limitations of our special needs child. She will be planning our next Disney trip. 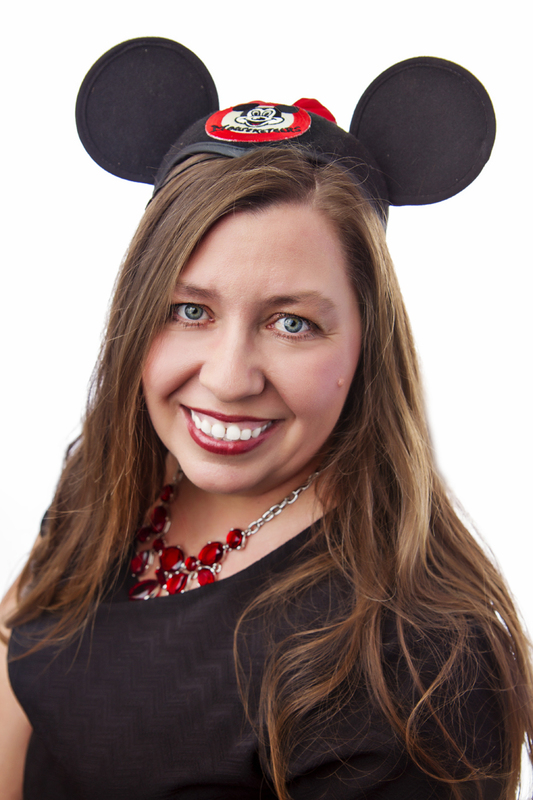 Nikki D. was absolutely awesome to work with in planning our Walt Disney World trip! She helped from the very start getting prices for different hotels, park tickets, fast pass planning, etc. - all the way through reminding us to get our photos when we returned home. She is very knowledgeable and made every attempt to maximize our memories in the cheapest way possible. The itinerary book with Fast Pass times and reservation numbers made scheduling so easy - all in one convenient little spiral notebook that fit easily into my backpack. She was a pleasure to work with and when we decide to go again - I know I'll be calling her to book us! Thank you Nikki D.! Hi Nikki D! Sal and I had a wonderful time. The inner child in us definitely came out :) Thank you for the itinerary, vouchers, and pixie dust... it was very helpful. We met and got autographs from so many characters (including Mickey's main pals and all the princesses! ), walked every section of every park, saw great shows, went on a few rides, and saw the fireworks show at every park. I had a magical moment at Hollywood Studios on the 1st day. After the Little Mermaid show, a cast member was able to take my homemade autograph book backstage for her to sign. He came running to us after the show to advise that Ariel took it to the Fantastmic backstage area and all the characters were signing their specific pages!! Once we got it back about 30min later there were about 10 new signatures ... definitely more than I ever expected to get in one day!! We appreciate you helping us to set up our fastpasses and reservations, and making our stay at Disney efficient and memorable. Since our return, we have been telling our friends about you and Magical Vacations so hopefully in the coming months you will hear from them! Again, thank you!! We had a fabulous few days at Disney World and have happily crossed it off our bucket list. Forever grateful for our magical experience! Nikki Dugger was so kind and helpful in every way!! Anytime I had a question she emailed, texted or called me right away with the answer!! We could not have asked for a better agent!! She was incredibly knowledgeable about Disney! My family and I had the most amazing time at Disney World!! Everyone at Disney was so kind!! The rides were amazing and the food was so delicious!! We will most definitely be going back!!! Thank you again, Nikki D, for making a dream come true!!! Thank you! Thank you! Thank you! Nikki D. was so very prompt and tolerated all of our little questions so well. I love that she took the guess work out of absolutely everything and was so kind and excited for us in the process. I tell all of my friends to contact me before they plan a Disney vacation and when they do, I will not hesitate for a second to recommend Nikki D. We had so much fun and I know it is due in part to Nikki's planning skills. -Meredith and Brent were both part of the Royal Majesty Makers and Meredith pulled the sword from the stone! She was thrilled! -Thanks to a friendly cast member we were able to meet Elena from Avalor!! What a surprise for the girls! -Because of your tips we made it to sign up for Jedi Training Academy. Although the girls had fun, Brent was elated! Having his girls face Darth Vader in a light saber fight was probably the highlight of his trip. -Both girls loved the rides more than I expected. Hannah and Meredith both loved Space Mountain. We rode more than once!! -I didn't make Hannah an autograph book because I thought she would not be interested. She was and made her own book in her journal and met lots of characters and is so proud of her autographs! -The dining plan worked out perfectly. We only had a few snacks left to cash in on Sunday morning...if it had been warmer, we would have used them all for ice cream I'm sure. Thanks for the encouragement to keep it simple! -Our room was a hit with both girls. They loved coming back to the room and setting off the fireworks. Location was good and the special touches in the Royal Guest rooms made us feel like we were at Disney even when we weren't in the park. Thank you for your friendly, prompt and professional help. I loved working with you. My experience was like planning with a family member. I will definitely recommend you to anyone who is looking into a Disney vacation! We planned our first trip to WDW with Nikki D. She exceeded our expectations in every way possible. First, she booked everything for us. What a blessing! She asked us about our family: ages of kids, likes, dislikes, hobbies, etc. This way, she knew more about our family and ways to plan that would make our experience special. She booked our fast passes on the exact first time we could (waking up at 6am to do so), allowing for the best ones to be chosen. We purchased the concierge itinerary and strictly obeyed it. Even though we were there during winter break (peak season) where lines were some times 3+ hours long, the itinerary allowed us to wait in lines no longer than 20 minutes and see the whole park of Magical Kingdom in one day. Awesome! Nikki also booked us dining reservations for New Years at the Polynesian Resort, whereby we went out to the beach to watch the fire works after dinner. She worked every day for two weeks to get us that much-desired reservations and finally got one! I, myself would never be so persistent and was so grateful to have her do this for us. Lastly, she was concerned about drive time for us and called us a couple of hours before our dining reservation. She was watching traffic patterns through her computer and realized that we needed to be on the road to get to our destination a bit earlier. So she called us! She also was available throughout our trip via txt and phone when I had questions: (ex: does the sword actually come out of the stone?, where is the best place to sit during the Festival of Fantasy parade?, one dining area is closed, could you recommend another?) SOOOOOOO helpful. We are going to Disneyland this summer and have already contacted her to help us plan. Within the day, she had a whole itinerary for us. She is truly a Godsend. Nikki D, you ROCK!